I’ve been homeschooling for more than twenty-five years with, so far, two college graduates and one child in the process. Overall, my kids thrived in college. They got good grades, made good friends, and blossomed into godly adults. They all went to secular local and state colleges, yet their relationship with God grew. John and I loved having teens. We had dinner nightly with them, we served in church together, and we curated long, meaningful talks. To do this, we had to be open, available, and involved. We cut back on our personal recreation, work, and goals to have time with them. This prepared our children’s hearts by proving they were worthy. They had the attention of their parents and didn’t seek it from unhealthy relationships in college. Our house was open for our teens’ friends to join us for dinner, for games, or for just hanging out. We made sure our house was teen-friendly, and we filled the fridge and pantry with snacks. Sometimes their friends came to hang out even when our kids weren’t there! Our children had solid friendships with other godly teens when they entered college; this foundation allowed them to be friends with unbelievers, too, yet also remain strong in God. Encourage a knowledge of God’s Word and a deep commitment to God. Our children were not perfect in college. They messed up (such as when our daughter performed in a theater production we considered questionable!). When they didn’t want to listen to our advice, God’s Spirit and God’s Word spoke to them. When my husband and I couldn’t get their attention, God did! Their relationships with God pointed them to truth for college and beyond! If you haven’t started a college savings yet, don’t worry. It’s never too late to save—every bit makes a difference. If you didn’t get around to establishing a college savings account early on, you’re not alone. Only 48 percent of parents surveyed are saving for their child’s education, according to Sallie Mae’s “How America Saves for College 2015” report. You can still maximize your investment toward your child’s college education, even if the college-bound kid is a high school senior already. —Encourage your college-bound youth to find a part-time job and invest the paycheck into a high-yield savings account with built-in perks, such as free online banking and transfers, and an interest rate above the national average. —Money market savings accounts are a smart choice for college savings – they offer better rates for higher balances. High yield promotional certificates with guaranteed rates are good for saving money that you do not need to access for several years down the road. —Don’t be discouraged if you can’t foot the entire college bill. Even if you choose to set aside funds to cover tuition for one or two semesters, or textbooks for an entire year … every dollar you save will help your aspiring college graduate! Most people already know the benefits of credit unions, such as customer ownership, fewer fees and higher savings rates. However, there is a segment of credit unions that continue to fly under the financial radar: Affinity-based banking—the intersection of faith and financial planning. —Personal savings account: a basic savings account for an emergency fund or savings for your kids that’s only $25 to open and has a 0.35% APY2 with no minimum balance. —Money Market Savings account: a great opportunity to earn a higher rate (up to 0.95% APY2 on higher balances. This direct savings account—also called an online savings account—appeals to on-the-go consumers who prefer to be able to manage their lives online. —Consumers can get these great rates because ECCU is largely an online bank. With ECCU, your money does more than earn a good interest rate for you. It helps fuel Christ-centered ministry worldwide by providing loans to churches and low-cost banking services to missionaries and Christian organizations. Together, you + ECCU = supporting and resourcing more ministry. What about you? 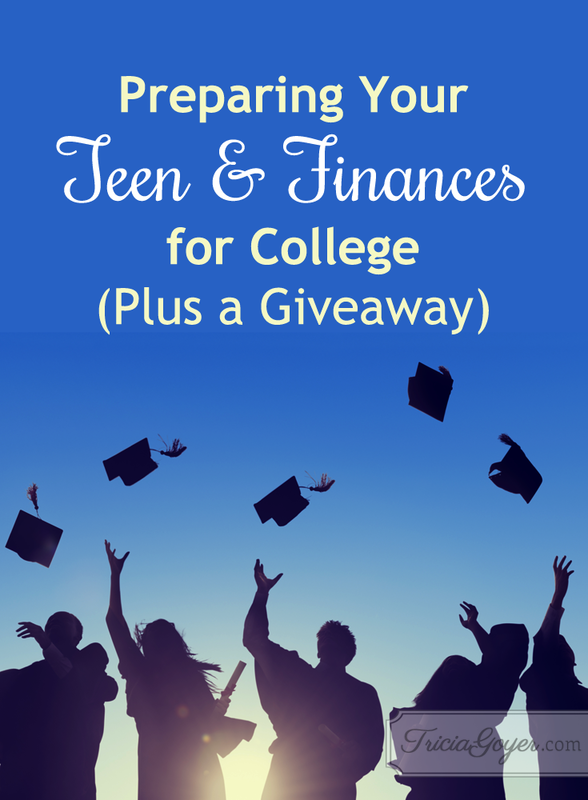 In what ways are you preparing your teens’ hearts and your finances for college? GIVEAWAY: Need to kickstart your college savings? Enter ECCU’s #ECCU4school giveaway below and you could win $1,000! Well, we are well into college and financing it. I think if I had it to do again, I would find a really great financial person through say ECCU or Crown Financial . . . a Christian financial person to have my teen speak with about owning their education. I would enroll my kids in a crown course or Financial Peace (they have a great teen/college program) and then talk about them owning their education. I would let them know what we will pay in assistance and then let them really consider where they want to go. We went too easy on our first born, but he had scholarships so we thought that was responsible : /. Then 2nd born is just now understanding they can’t just get accepted that college is about graduating. One of the greatest speeches I have been to was by the financial guy at USF, he said hey, anyone can be accepted but finishing is the key . . .start your plan, work your plan and finish the plan!!! ; ) My 3rd born is so independent as she has had the opportunity to watch the others struggle, she will finish a year early and may go to grad school. I would insist that they have their own checking acct/$500 credit paid ccard so they can learn the dealing with money and cards in HS. I am going to forward the ECCU info to them so they can explore the website. I would save but let them add to savings too and review periodically so they can see the progress. We did save in a Roth IRA but not enough for private school which was one of my kid’s choices until she would have to take out loans : / ! Although I don’t have teens…yet, my husband and I dream of having an open door policy with all our childrens’ friends! Our plan is very similar to yours: a pool table / ping-pong table and Pizza Pockets. It is never to late to save because you can always improve your skills or even allow your children to use that money put away for higher education. Thanks for doing this. I’m homeschooling and trying to figure it out too.